This painting is in oil on canvas measuring 752 x 638 mm (fig.1). The linen is plain woven with 14 vertical threads and 12 horizontal per square centimetre. A great many slubs in the horizontal direction give a very variable thread thickness. There is cusping at the left and right edges of the painting but none at the top and bottom (fig.2).1 As the original tacking edges are no longer present, we cannot tell whether the painting has been trimmed in size but if it had been it seems unlikely that the amount of loss was great. It is possible that this piece of canvas was cut from a long, narrow, pre-primed roll, which would have been kept taut along its long edges for priming, hence the cusping there. No underdrawing was detectable with infra-red reflectography or with microscopic examination. 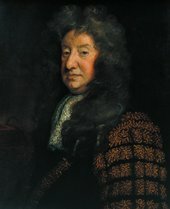 Like many of Kneller’s ‘Kit-cat’ portraits of this period, this face was accomplished with a spirited, economical technique.3 Starting with thin, reddish brown paint, Kneller would lay in the contours of the face and features. Then, using flesh tones mixed on his palette, he would paint the face with direct, bravura brushwork, leaving the greyish tan coloured ground visible in many areas to work as a neutral half-tone or half-shadow. This may be seen in figs.6−8. The ground, lightly glazed here and there with brown paint, also forms the mid-tone of the wig. The final paint layer of flesh paint is stiff and textured, though applied quite thinly. The pink flesh tones are fairly simple mixtures of lead white with vermilion, black and earth colours. As visible in fig.8, red lake was used for the deepest shadows. The brown background contains yellow ochre, sienna, black, umber, vermilion, lead white and pipeclay. The yellow highlights on the brocade contain lead white, lead tin yellow, earth colours, chalk, ground glass and pipeclay. Since this study was undertaken, the painting has been cleaned and restored. 2. Identification of pigments was undertaken by Rica Jones and Kate Stonor with polarised light microscopy and by Joyce Townsend with EDX (Energy-Dispersive X-ray Analysis). 3. 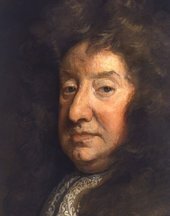 For discussion of Kneller’s technique in the Kit-cat portraits see Rica Jones, ‘The artist’s training and techniques’, in Elizabeth Einberg (ed. ), Manners and Morals: Hogarth and British Painting 1700−1760, exhibition catalogue, Tate Gallery, London 1987, pp.24−5. 4. 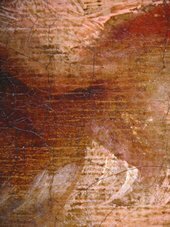 For information on microcissing see Rica Jones, ‘Drying crackle in mid eighteenth-century British painting’, in Victoria Todd (ed. 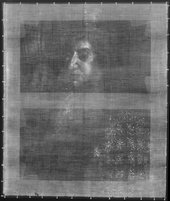 ), Appearance, Opinion, Change: Evaluating the Look of Paintings, London 1990, pp.50−2, and Rica Jones, Joyce H. Townsend, Katrien Keune and Jaap J. Boon, ‘Observations on drying crackle and microcissing in early and mid-eighteenth-century British paintings’, in Arie Wallert (ed. ), Painting Techniques, History of Materials and Studio Practice, Amsterdam 2013. 5. See Joyce H. Townsend, Rica Jones and Kate Stonor, ‘Lead soap aggregates in sixteenth- and seventeenth-century British paintings’, in AIC Annual Meeting 2006, Paintings Specialty Group Postprints, 2007, pp.24–32.